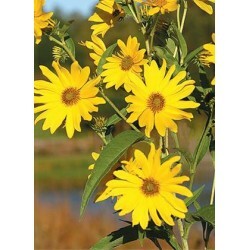 Maximilian Sunflower is an impressive 3' to 10' tall native perennial widely sought for its garden and habitat attributes. 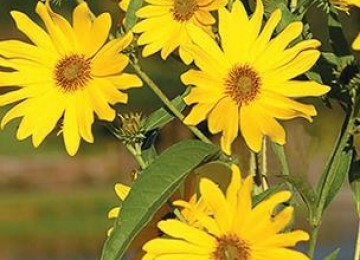 Maximilian Sunflower blooms in August and September and prefers dry to medium moisture soils in full sun. It tolerates a wide range of soils and is drought tolerant. 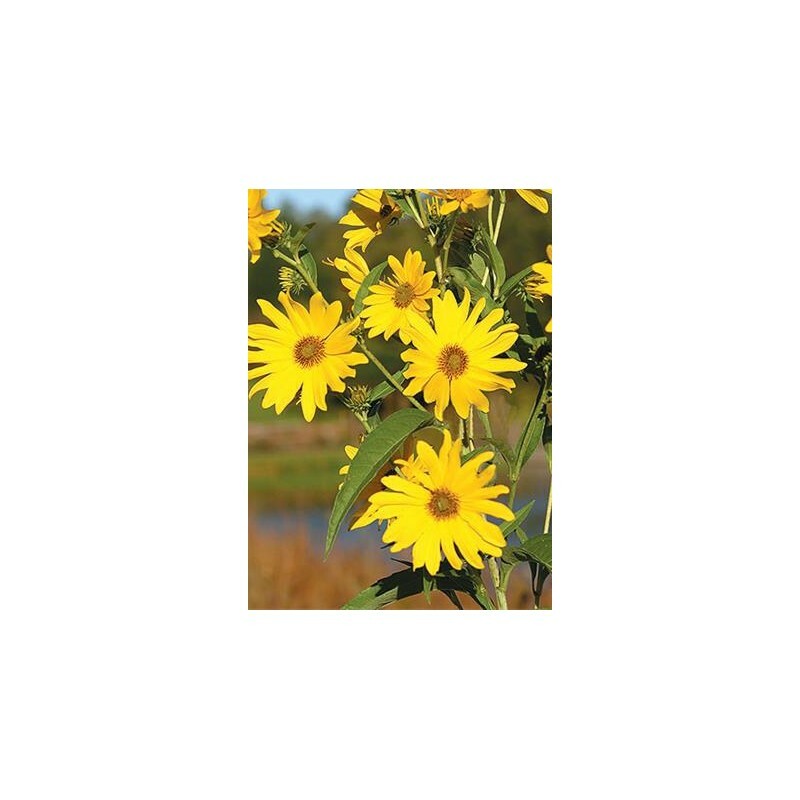 The plant features 3" to 4" wide showy bright yellow flowers growing in large numbers from the upper leaf axils and is easily established from seed. It is a great landscape and garden plant and an important wildlife habitat species. It provides tall dense cover and substantial volumes of seed for game birds, song birds, and numerous small mammals.